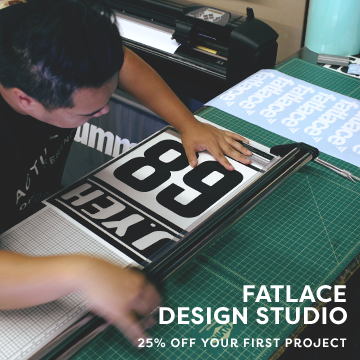 During my recent trip to Japan I made it sure to meet and learn new tricks from the customizers and tuners. One of them is a Runzip Design which is in Fukushima. They specialize on bolt-on aero kits and coilover set-up. A day before OKJP, its designer Atsushi Honda together with his friends dropped by Fuji to say “hi” to the crew. Here are the photos. 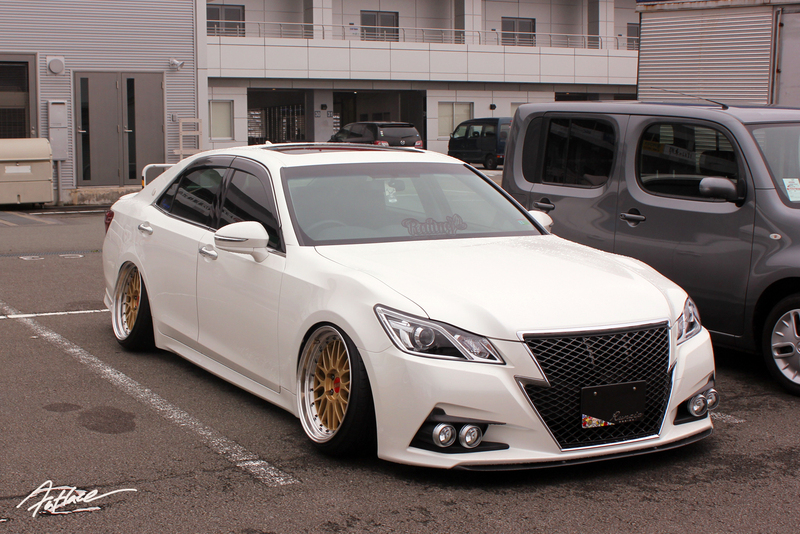 They brought in this beautiful Toyota Crown Athlete on BBS LM’s. The Japan-exclusive variant (Athlete) of the Crown features sportier highlights like the aero parts, grill and powertrain options. 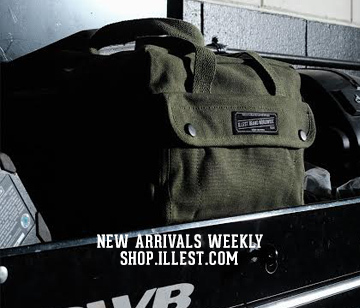 But the guys at Runzip added their sporty yet elegant touch to it. Judging at first we thought that the Crown was running on air. I had a close check and noticed he was running static, Buddy club coilovers to be exact. Wheel choice was perfect for the ” theme” as it had BBS LM F1‘s. Specs are 19×9 -19 up front and 19×10-19 on the rear. 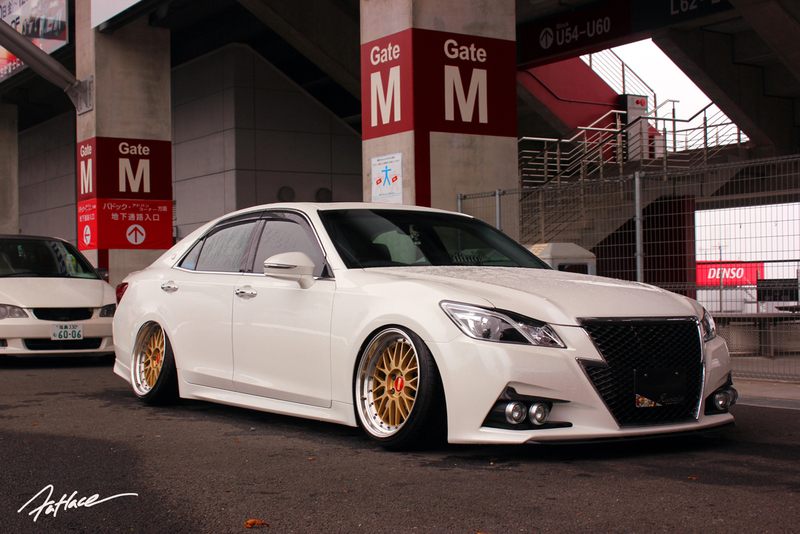 The J-unit glorious series aero was tweaked for their visual needs. 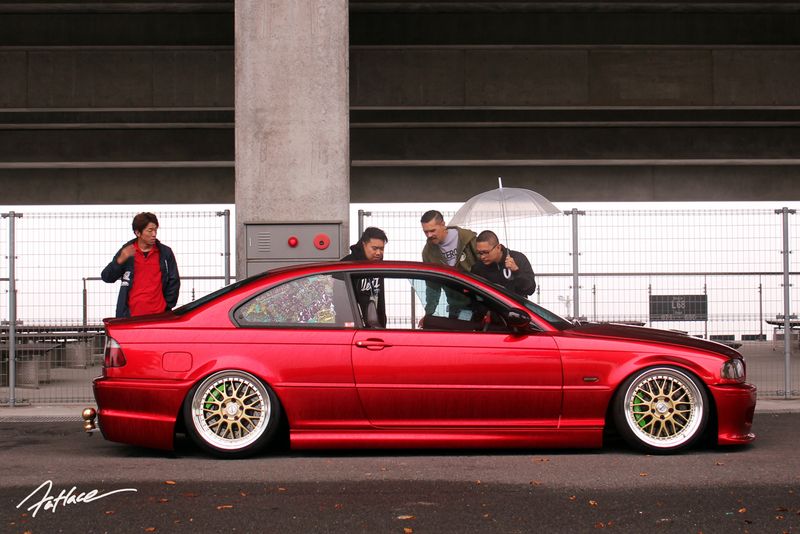 Time to take a short look on that candy red E46. 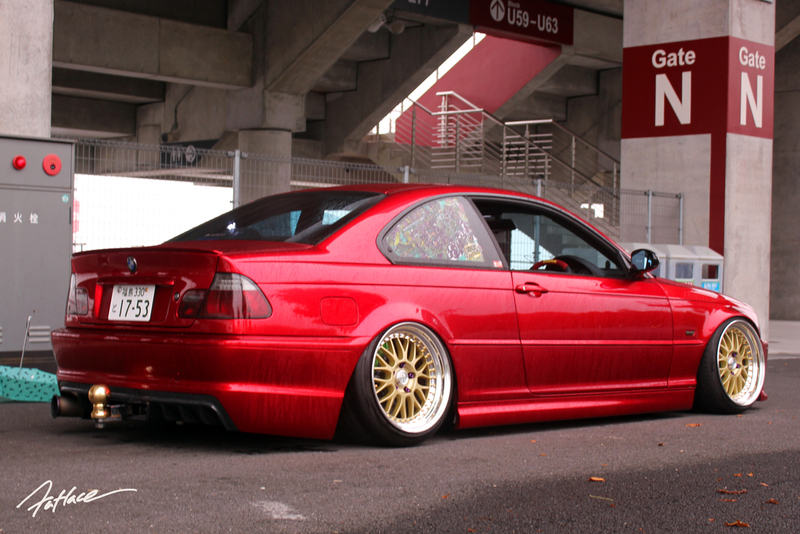 The E46 which sports the M3 side skirts paired with Runzip’s front and rear bumper looked really good. Check out that artsy mural on the quarter window. 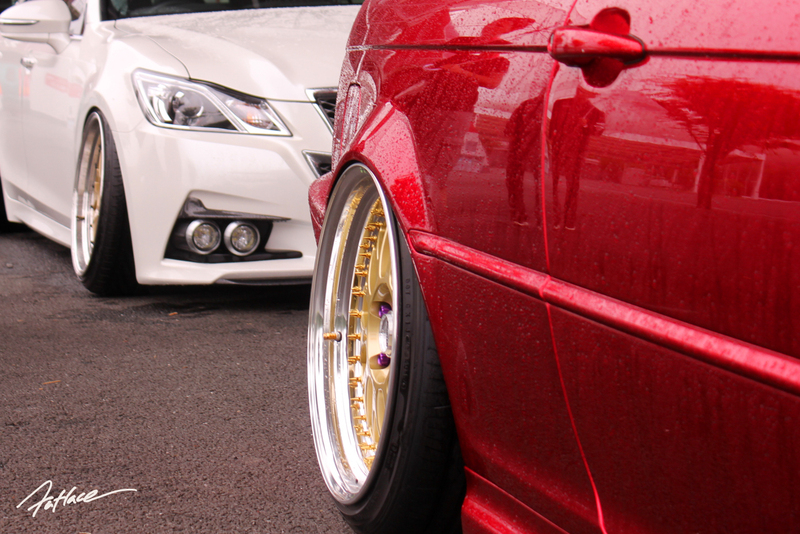 They also went for the same traditional way of slamming, this time they made their own coilovers for the car. 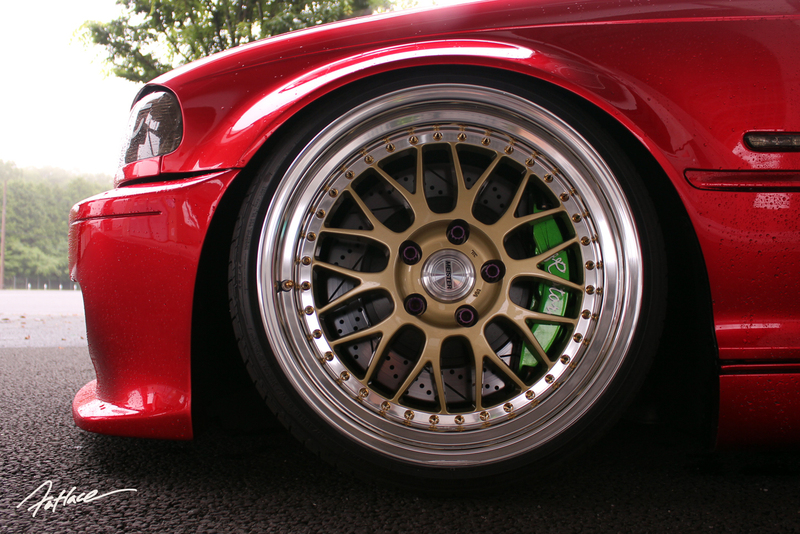 Work Meister M1‘s measured 18x 9.5 -18 up front and 18x 10.5 -18 on the rear. 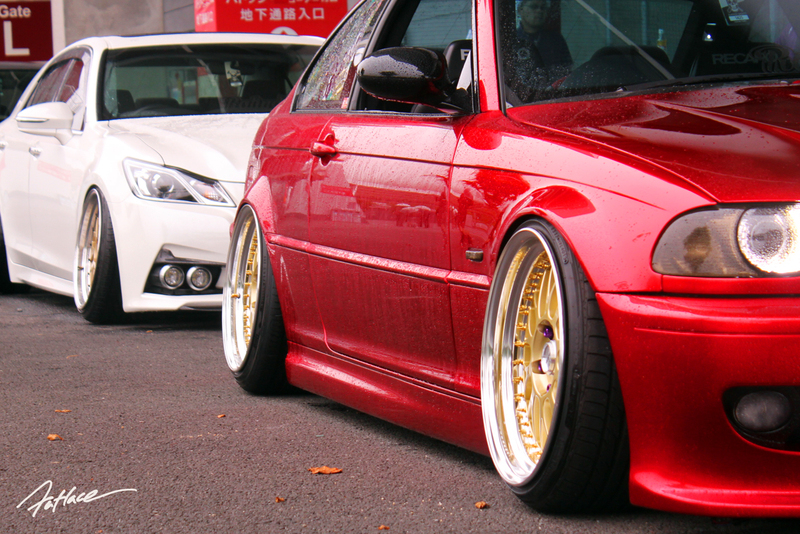 Atsushi Honda also shared that these cars run over 200kph with this type of “fitment” on Japan’s highways. These guys definitely stretched the limits of a static car.